Architectured materials involve geometrically engineered distributions of microstructural phases at a scale comparable to the scale of the component, thus calling for new models in order to determine the effective properties of materials. The present chapter aims at providing such models, in the case of mechanical properties. As a matter of fact, one engineering challenge is to predict the effective properties of such materials; computational homogenization using finite element analysis is a powerful tool to do so. Homogenized behavior of architectured materials can thus be used in large structural computations, hence enabling the dissemination of architectured materials in the industry. Furthermore, computational homogenization is the basis for computational topology optimization which will give rise to the next generation of architectured materials. 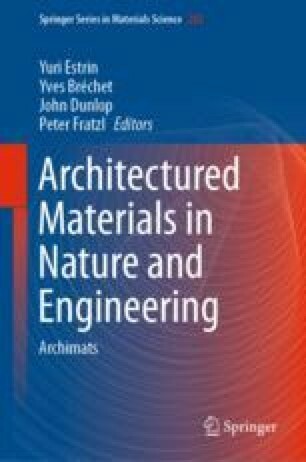 This chapter covers the computational homogenization of periodic architectured materials in elasticity and plasticity, as well as the homogenization and representativity of random architectured materials.